The Times: The inquiry into the leaked-emails controversy at the University of East Anglia must be independent and transparent for the sake of science, a prominent climate change sceptic (sic) group said today. Professor Phil Jones, who heads the climate research unit (CRU) at the UEA, announced yesterday he would step down while the university launches an independent inquiry into allegations of misconduct. The investigation comes after e-mails between scientists at the CRU were hacked and posted online by climate change sceptics, who claim the exchanges show that CRU researchers suppressed data in order to prove global warming was man-made. The CRU is one of the key institutions that provided data to counter the theory that there was a period in medieval times when temperatures were as high if not higher than today. 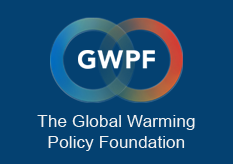 If “colluded data ” was used by the CRU, then it could call into question whether global warming is really man made, said Dr Benny Peiser, director of the “sceptic” Global Warming Policy Foundation, founded by the former Tory chancellor Lord Lawson. “It is very important that the inquiry is completely independent, transparent, and seen to be transparent,” said Professor Peiser, who is also a social anthropologist at Liverpool John Moores University. Professor Paiser (sic) welcomed the university’s announcement that Professor Jones would step down for the duration of the independent inquiry. “I think it’s absolutely the right thing, it’s the only way to restore credibility,” he said. Professor Paiser added that he would welcome the return of Professor Jones should he be cleared by the inquiry. The independent inquiry would look into data security, whether Freedom of Information requests were acted upon appropriately and all related issues, the university said. A spokesperson said more details about the inquiry would be released later in the week. The e-mails between scientists at the CRU included a conversation which appeared to be about how to keep certain papers out of journals. The e-mails were leapt upon by climate change scepttcs both in the UK and the US. Last week, Lord Lawson said the issue needed to be investigated thoroughly by a “totally respected” expert if the CRU was to retain any credibility. Professor Jones denied manipulating data, saying that claims of collusion were “absolute rubbish”. “We are, and have always been, scrupulous in ensuring that our science publications are robust and honest,” he said. He questioned the timing of the leak, just two weeks before the climate change conference to be held in Copenhagen, saying it could be a ‘concerted attempt’ to undermine the science behind global warming in the lead up to the summit.